Okay, I really enjoyed wearing these twists but it is recommended that long term protective styles be not kept for more than two months and I have had these for 8 weeks exactly. I pretty much have an idea of how to take them down without experiencing breakage, however, I still did further research and found this brilliant post on Blackgirllonghair by JC of NaturaHaven. The author recommended that the extensions be deep conditioned a day before they are taken down. The reason for this is to get the hair softened and moisturised, so that the next day, when you are ready to take the extensions out, your natural hair will be flexible but strong. This method is supposed to leave your natural hair in a state to resist breakage. I thought it was a brilliant idea and decided to deep condition my hair using Shea Moisture Anti-Breakage Mask mixed with Olive Oil. As I am creating this post, I have the conditioner in my hair, which I plan to leave in my hair for several hours. Once I rinse the conditioner out, I plan on spraying a mix of aloe vera juice and olive oil all over to keep my hair moisturised.. Stay tuned for the post on the actual "take down" of the twists. Waiting for the update. Hope you have little to no breakage and some growth. I do this method too. It also keeps my hair clean after I take it out, so that I will only have to wash and deep condition a week after taking the braids out. do you still do this or does it still cause breakage as you mentioned on my blog? No honey . I made a post recently about getting rid of this method. It does not work for me. I recently took down marley braids and did not wash them throughout the 4 weeks I had them. I used Apple cider vinegar to clean my scalp and aloe Vera juice mixed with Conditioners was used to moisturize my hair. 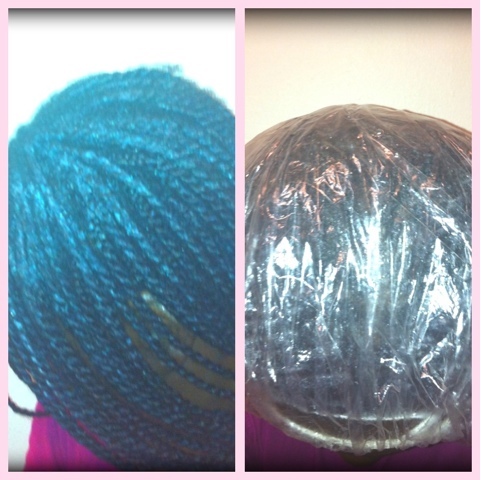 This method was perfect in that I experienced no breakage when I took my marley twists down. I have to update this post.